Chose to eat the Blood Type Diet and no longer fart unless you are dehydrating. 18 years of it, no portion reduction BS, just eating what your body has been designed to process. Farts are a message, Do Not Eat. If you don't fart you are dead. Competitive body builders stink up a bathroom. On occasion when something sneaks out it's like cherry blossom time. People on the bus ask me to do it again...then I woke up to my dog farting next to me in bed...you know it's her cuz as soon as drops bait she bolts off faster than a scared rabbit. A nice side effect to getting away from carbs is less stink. Probiotics surprisingly cuts back on nasty emissions as well. Locally there is a grocery chain called 'Spar' where we do most of our haulidge. Usually when I get to the soda fridges (son drinks Coke still) I'll have an urgent requirement. Braised cabbage or some cauliflour for lunch. I love both regardless of the gastro effect. One has to have at least one or two, not so guilty pleasures. Did anyone actually watch the video? It's a great channel with loads of informative stuff. This one in particular went into a lot of biology. I had pot roast with lots of onions for dinner last night. Who wants to take the Pepsi Challenge with me? At the time of Buddha Sakyamuni, monks were forbidden from eating raw onions, ginger or garlic. Doing so produces strong odors that would effect one's meditation as they sat in circles. Once cooked there is no problem. Nothing like crop dusting the isle at the one of the big box stores and hiding around the corner listening to their reaction, especially nasty after Korean bbq with a side of Kim she! 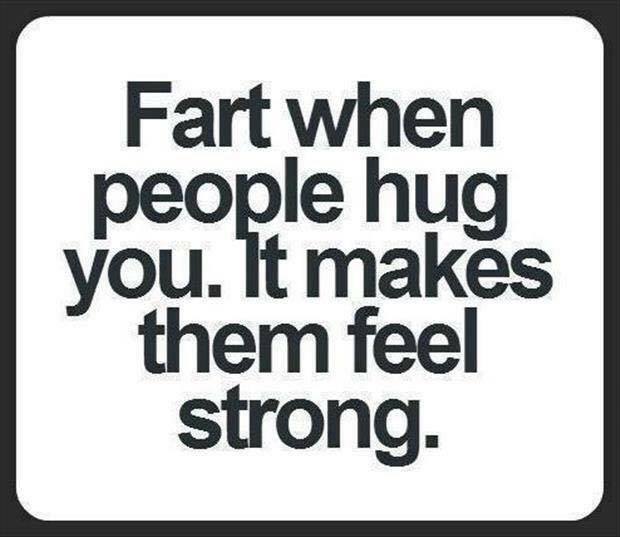 Farts are funny. Usually when I rip one, I'll exclaim I just shat myself.